Star Wars: The Last Jedi is just a few months away from its release and with that comes a wide release of marketing. Like Star Wars: The Force Awakens before it, this sequel will also be given the Monday night football treatment when the official trailer is finally released on live television. Though the first trailer gave us some great shots featuring the likes of Rey, Luke (finally!) along with the newest droid BB-8, this next trailer will likely expand more on the story element of this film. This will get fans talking even more as to what we can expect in this upcoming sequel. 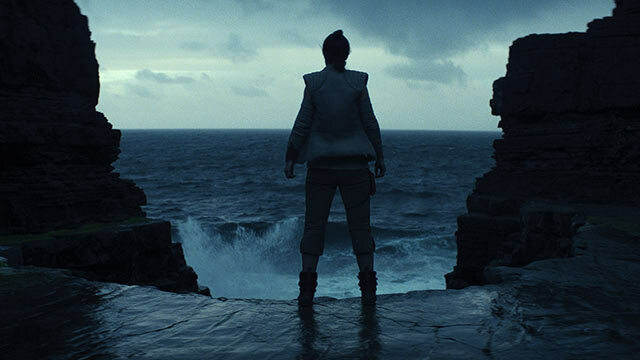 It shouldn’t have come as a surprise to many fans that the first footage shown at this years Star Wars Celebration featured both #Rey and #Luke at the forefront. After all, #TheForceAwakens ended on this small island where Rey finally comes face to face with the man who helped bring down the #Empire. The majority of the trailer was narrated by Mark Hamill where he had far more screen time than he did in The Force Awakens. We can expect this trailer to give us even more Luke Skywalker along with some more shots of him training Rey on the island. Like the #EmpireStrikesBack before it, this sequel will introduce us to a new class of Imperial Walkers and will look to expand the First Orders deadly forces in a climactic showdown on the planet Crait. We’ve gotten plenty of merchandise items that have showcased what the walkers will look like but we have yet to see any shots of them in battle. This trailer would be a great time to reveal their deadly attacks on this planet while the Resistance is trying to fend them off. We saw what happened to the Imperial Walkers on the planet Hoth, but the upgraded armor, weapons, and maneuverability will pose a big threat to the #Resistance. Porgs! Porgs! And More Porgs! You had to have seen this one coming. Perhaps the most marketable creature in the entire film, the Porgs are the little creatures that live on the planet Ahch-To. 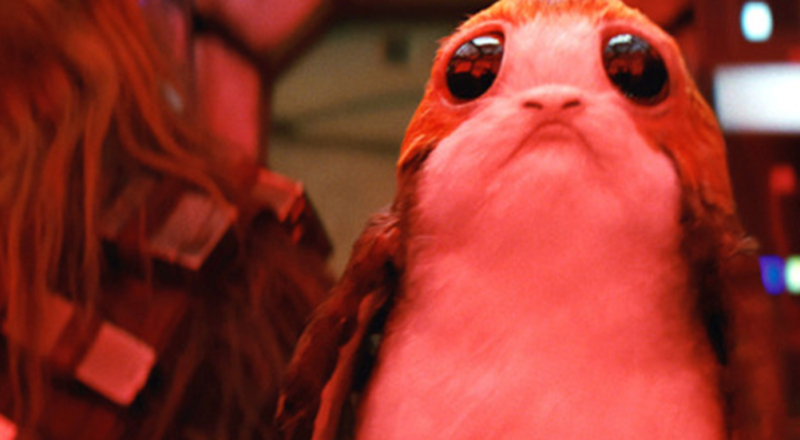 Aimed directly at kids, the #Porgs have numerous merchandise items attached to their names including various plushes, action figures, t-shirts, and all kinds of toys. Whether these little buggers play a key role in the film or not, their presence will absolutely be felt. Thus far, we’ve gotten a few shots of the creatures in some of the behind-the-scenes reels but we’ve also received quite a few photos of them riding inside of the Millennium Falcon and Chewie is none to pleased. We can expect a couple of shots featuring the Porgs in the upcoming trailer. Even though #KyloRen is leading the First Order in battles, there’s always a puppet master in the background and his name is Supreme Leader Snoke. #Snoke was hardly touched upon in The Force Awakens. While we got a couple of scenes of this character interacting with Kylo Ren, he mostly remained in the shadows. Though #RianJohnson has since teased that we will not learn everything there is to know about this mysterious character, we can at least know going in that the brilliant motion-capture artist of Andy Serkis will have much more screen time than the previous film. The marketing has since shown Snoke wearing his signature golden robe. It’s very possible we get some dialogue and a couple of scenes featuring this character in the trailer. Nothing says #StarWars than a good ol’ fashioned beautiful casino complete with racetracks. Like any other place in this film, not much has been revealed about this new location. As of right now all we know is that this casino takes place on a planet named Cantonica and is completely filled with wealthy individuals. Think of this location as a much more upperclass casino you’d find in Vegas only much larger. While we don’t know much about this location, you can expect to see a few shots of new creatures and the people who run the casino in the next trailer. This is a character we know very little about and Lucasfilm has done a great job keeping him in the shadows. While some have speculated that he could be the next Sith Lord or even a Bounty Hunter, the fact is that we won’t really know who he’s playing until the film comes out. For all we know he may have very little screen time but may play a pivotal role in some way. Thanks to a recent Funko Pop! figurine, all we know of his character is that his nickname is ‘DJ.’ That’s pretty much it. Though I don’t expect Benicio Del Toro to say anything in the trailer, it would be nice for #Lucasfilm to at least show him doing something in the trailer even if it’s just a quick glimpse at the character. This is yet another character we know very little about and have only seen a few shots of her mostly in behind-the-scenes footage. Played by Kelly Marie Tran, Rose was a former maintenance worker for the Resistance during many battles against the First Order. At some point in the film, Finn and Rose will eventually meet up and take a trip over to the Canto Bight casino. If Canto Bight is in the trailer, it stands to reason that we will probably be seeing both of these characters there. 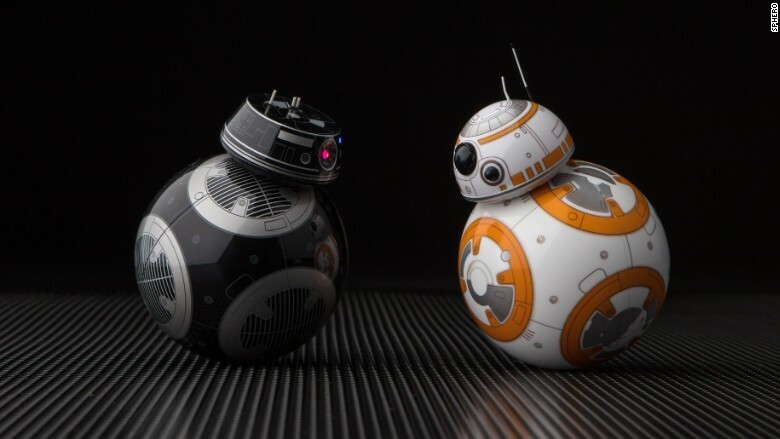 The dark series to a standard BB-8 model, BB-9E is a faithful droid to the First Order. This BB unit has been featured alongside #CaptainPhasma and will serve as her personal Astromech droid. The droid has also had a history serving aboard Supreme Leader Snoke’s personal flagship; the Mega-Class Star Destroyer Supremacy. Like all of the other characters who are heavily involved in the merchandise marketing, BB-9E is also up at the top of the list. A quick shot of BB-9E rolling quickly on the ground would be enough for me. The one thing I look forward to the most over anything else in these trailers is what is said in the trailer itself. I love the lines of dialogue even more than the impressive visuals and action scenes we will no doubt be getting. However, there’s just something about what is said in these trailers that truly define a Star Wars movie. A couple lines of dialogue that stood out from The Force Awakens trailers were without a doubt the two lines that were said by Han Solo; “It’s true. 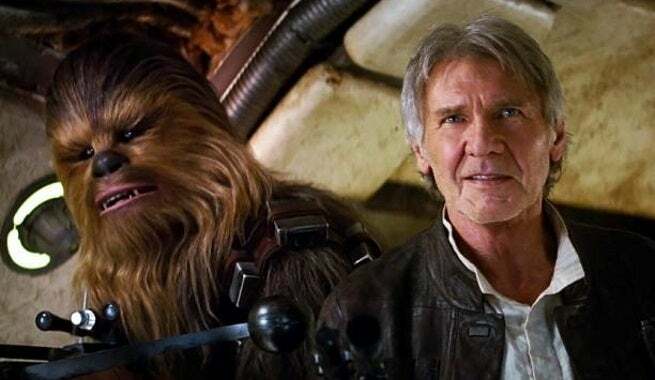 All of it” and “Chewie, we’re home.” We will never get another moment like the scenes we saw from those trailers but that’s what have made these trailers so fantastic. The first The Last Jedi trailer ended with Luke proclaiming that “It’s time for the Jedi to end.” These words could obviously have multiple meanings but that’s just what fans want. We want to be able to talk for months deciphering what some of these lines actual mean in the context of the film. If I were to guess as to which character is more inclined to give us this moment, I’d have to say that it goes to Carrie Fisher’s General Leia. What better way to sell this film than to give us more of the character we will miss dearly. No matter what Lucasfilm has decided on the fate of General Leia, we can at least go into this film knowing that it will be a great final performance by Carrie Fisher. There’s no doubt in my mind that Leia will have some words to say in this trailer. But I believe she will also have the most important lines of them all. Rian Johnson’s Star Wars: The Last Jedi will be released in theaters everywhere on December 15. Did I miss something? What are you expecting to see out of this trailer or what do you want to get out of it? Please share your thoughts in the comment section below and don’t forget to check out the trailer that will be released on October 9th during Monday Night Football!